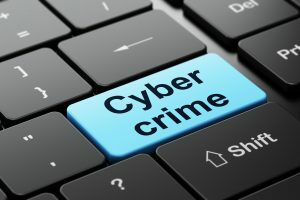 Cyber criminals are on the loose, and it’s up to business owners to take the necessary steps to protect customer data related to sales transactions. Failure to do so can lead to steep penalties for you and your business, so be sure you’re in compliance with these tips, especially if you accept credit cards online. If you have a PC in your store that is dedicated to money transfers and accounting, you’ll run a lower risk of infecting your PC since you’ll limit the websites you visit. Some credit card processing services may even have recommendations on firewalls to use so your other employees can’t unknowingly download some kind of virus by blocking all but the sites you need for that PC. It’s helpful to create a password policy directing employees on how often to change passwords, and giving them some mechanism to keep track of their logins. You’ll be able to track who signs into your credit card machines to complete a transaction, and reduce the odds that an employee’s password is phished or hacked. If you’re site isn’t using the HTTPS protocol, and you’re running an ecommerce website, you’re making a mistake. You could see a drop in revenue because customers might think you’re site isn’t trustworthy. HTTPS protocol ensures a customer’s data is encrypted, or anonymous, so it’s harder for outside hackers to determine who is sending money to which financial institution. IT plays a large role in security, so make sure you retain a consultant if your business relies heavily on technology like mobile payments. Bio: Charge.com offers an affordable and reliable solution to accept cards online and in-store, with no setup fees and no contract.